Feature blinds are a family run business which has been established for 14 Years. We are based in West London covering London and the Home Counties and pride ourselves with providing a quality, affordable service, offering friendly and professional advice. Feature Blinds offer a fast, free, no obligation measure, quote and fit service at either your home or office at a time suitable to you. We make sure that we keep up with the advances in technology, source latest materials and are compliant with Child safety requirements, enabling us to provide the best service to you. When you have made your selection from our wide range of materials we will provide you with an immediate free no obligation quotation. 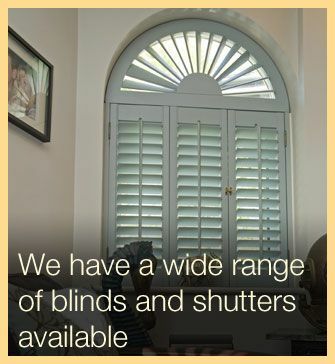 All our blinds and shutters are custom made to suit your requirements. Once manufactured, one of our team will contact you to arrange a convenient time for us to fit them. The majority of our blinds carry a 12 month blind guarantee and Shutters 3 years. However, Feature Blinds other's a 5 year Labour guarantee.